This galactic bubble is known as RCW 120. 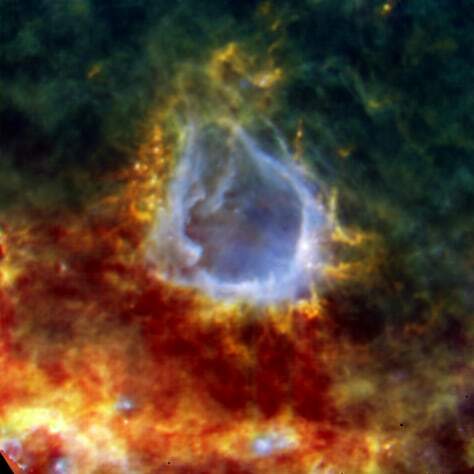 It lies about 4,300 light-years away and has been formed by a star at its center. The star is not visible at these infrared wavelengths but pushes on the surrounding dust and gas with nothing more than the power of its starlight.